NATURAL HAND-CARVED PINK SALT CRYSTAL - from the ancient Pre-Cambrian Oceans. UNIQUE SOOTHING DECOR - great as night or decorative mood lights. 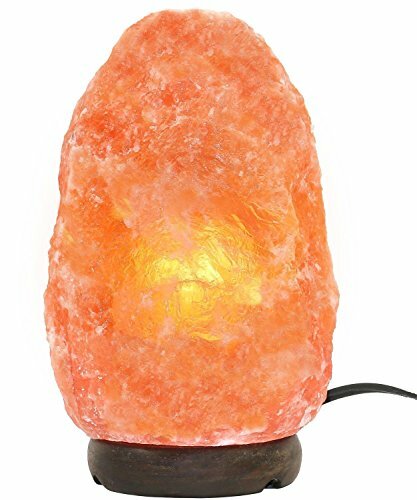 Gently light up any space with warm therapeutic glow - home, office, or bedside. NATURAL AIR PURIFIER - clears its surroundings of allergens, including pollen, smoke, dust particles and other air pollutants. May help allergies and asthma sufferers. 100% GENUINE FROM SOON VALLEY - known for its ancient civilization, salt lakes and fertile lands is also home to the only source of Pink Rock Salt in the world. If you have any questions about this product by Soon Valley Salt Co, contact us by completing and submitting the form below. If you are looking for a specif part number, please include it with your message.